As the Edible Arrangements brand grows worldwide, I continue to be impressed by the talented professionals who join our team. The latest is our new CFO, Tony DiPippa. 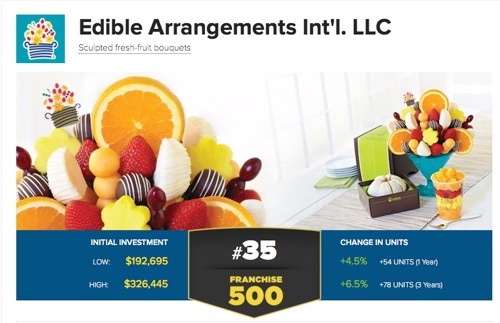 Tony brings a deep and diverse level of experience and expertise to Edible Arrangements, and that will be critical as we embark on a new era of significant global expansion. Tony’s career includes a range of financial roles at Procter & Gamble followed by leadership positions in finance at Dun & Bradstreet. He also has served as VP of North American Finance for Godiva Chocolatier, playing a major role in the successful sale of the company, and was CFO at WB Mason, during a time in which the privately-held office products company grew to $1.2 billion in sales. Most recently, he was Chief Financial Officer for mall-based retailer, Cache. Tony, who served as a Captain in the U.S. Air Force, holds a BA degree with a double major in Economics and Foreign Affairs from the University of Virginia and an MBA from the University of Nebraska. These are amazing times for Edible Arrangements and we are building a team filled with amazing talent. Welcome to Edible Arrangements, Tony! We look forward to having you on the team.